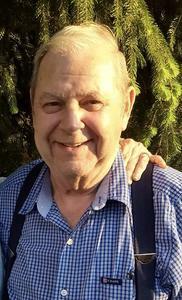 Paul Dallas Graves, age 78, of Zeeland, went home to be with the Lord on Tuesday, October 16, 2018. He was born to Paul and Nerene Graves on February 14, 1940, in Central City, Kentucky. He proudly served in the U.A.W. Pontiac Truck & Coach Division as a Millwright for 40 years. Mr. Graves was an active member of Rose Park Baptist Church. He was a faithful man and devoted to his family. Paul met his beloved wife in Waterford, Michigan, and they were married for 41 wonderful years. Mr. Graves was preceded in death by his parents, Paul and Nerene; daughter, Shari; brothers, David, Jack, Dennis, Gary and Todd. He is survived by his dear wife, Diane (Martin); sons, Paul W. (Lynn), Curt Galloway, Sean (Natalie) Galloway; sisters, Lue (Jim) Sallee, of Kentucky, Pam Rustin, of Tennessee; sisters in-law, Lynn Graves, Brenda Graves and Sharron (John) Moyses; brothers, Ernest “Butch” (Marsha) Eagleton, Rodney (Shirley) Graves; brother in law, Kenneth (Linda) Martin; 12 grandchildren and 14 great grandchildren. A funeral ceremony will be held 2:00pm, Friday, October 19, at Rose Park Baptist Church, 600 Butternut Dr., Holland, MI 49424. Pastor Robert Pophal officiating. Interment will be in Lake Orion, Michigan. Visitation will be 5-8:00 pm, Thursday, October 18, at the Dykstra Funeral Home – Northwood Chapel, 295 Douglas Avenue, Holland, MI 49424. Professional services are entrusted to Dykstra Funeral Homes.